The Central Coast Section has never seen a thrower quite like Valley Christian's Elena Bruckner. The Texas-bound standout followed up a sensational junior season with a dominant senior year, breaking Central Coast Section records in the shot put and discus along the way. 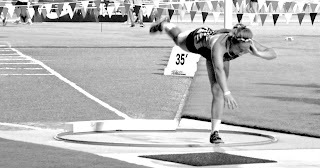 Only five U.S. high school throwers in history have better marks than Bruckner's 54 feet, 7 inches in the shot put and only three have superior throws than her 186-10 in the discus. For this, she was an easy choice to repeat as Mercury News girls track and field athlete of the year. Bruckner did not have the perfect finish, falling short of a double victory at the California Interscholastic Federation state championships this month in Clovis. But she overcame her runner-up performance in the discus to win the state shot put title for the second consecutive year. It was 104 degrees when the discus finals began, and the heat affected Bruckner. "As I was warming up for discus, I honestly felt like I was about to pass out," she said. "I couldn't feel any pushing off on my legs." Bruckner took second in the discus in 160-9 and then came back to win the shot put in 49-5﻿3/4. "Obviously it was frustrating and really disappointing that I couldn't come out for the win for discus," she said. "But I knew that shot put was the thing that I had been the most consistent in recently, and I was feeling really good about shot put." 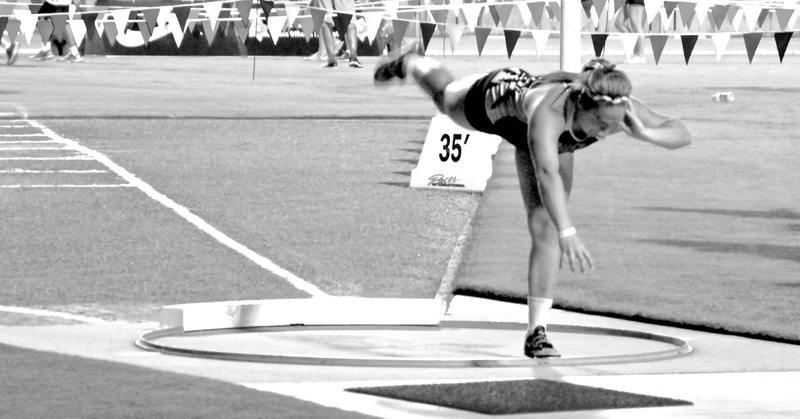 In the final event of her Valley Christian career. Bruckner went out on top. Asked what she will remember most about the experience, she said, "Probably the team itself, just the camaraderie with the rest of the throwers." Look for all-Mercury News girls track and field team at mercurynews.com/high-school-sports. "Girls track and field athlete of year" is a helpful with lots of informative information. I have bookmarked already for further assistance. Maybe we all know that Bruckner went out on top. I have read an article about turmeric capsules here https://www.totalbeings.com/how-turmeric-capsules-saved-my-life/ and it's informative and up to date. Thanks!